In Sudan, you cannot download an app via Google play, or update software. No transactions can take place over the Internet because you cannot use a credit card. You can't order a book, a computer or buy music. Transferring money to Sudan from the US is also close to impossible, including in times of crisis, like the massive flooding in August 2013, when some in the diaspora tried sending money to give family back home assistance. US sanctions have blocked a number of products in Sudan, including vital technology tools, and while the US Treasury Department tried to ease web restrictions in 2010, civil society members in Sudan continue to hit roadblocks in accessing technology. When the trade embargo was first introduced in 1997, it blocked a number of products,including basic technology that is used by civil society. An omission was made, however, for gum arabic. 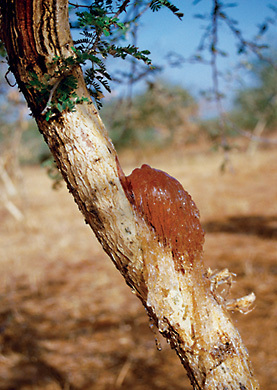 Gum arabic is an essential ingredient to all soft drinks and Sudan is the world’s largest producer, with 70-80 percent of global production. When the trade embargo was first introduced, the food industry lobby negotiated an exemption, so Coca Cola isn’t impacted by the sanctions, but someone like 20 year old Afnan Kheir hasn’t been so lucky. “The sanctions in Sudan affected my graduation project and were a great obstacle in my graduation. I honestly thought I wasn't going to graduate!” Over email Kheir, a recent graduate from Sudan University of Science and Technology, with a degree in software engineering, explained that her team had planned to build a cross platform mobile application, possibly the first of its kind in Sudan. The app would help users locate banks, restaurants, offices and other places of business in their proximity. From there, the team couldn’t find anyone to guide or help with the platform, since no one had used Sencha Touch. Next, they learned the online documentation of the framework was out of date and inconsistent. The website offered a training course but unfortunately it wasn’t free. After pushing on and paring down from the original design to focus on the most central features, they began to implement and test the app and were frustrated to find that it performed poorly because Google Maps wasn’t reading the users’ location correctly, and the access to the Google Maps Developer Guide is restricted. "Not available in your country" is the norm in Sudan (credit: Amanda Sperber). Afnan’s story is not unusual. It is one of many that demonstrates how US sanctions against Sudan have a crippling impact on technology and communication, greatly hindering the nation’s progress. Those actively working for change, whether with humanitarian goals or for democracy and the overturning of the ICC-indicted President Omar al-Bashir are especially derailed and consequently, deflated. Dalia Haj-Omar is a passionate Sudanese activist based in France -- she felt she had to leave the nation because the regime was watching her work. She goes home only occasionally now. She’s astoundingly busy and had planned to email her thoughts, but got very sick and insisted on speaking over Skype. She was too ill to type, but wanted to get her information out. In December, Haj-Omar launched a campaign on Indiegogo to raise funds for a school in Sudan’s capital Khartoum that is collapsing. The school provides free education to 230 internally displaced girls and boys from the Nuba Mountains and Darfur, major conflict areas in the country. After the fifth day of the campaign she got a message saying that the page had been pulled down because Indiegogo got a trigger that the word ‘Sudan’ was in the pitch line. Haj-Omar responded by sending the latest information from the OFAC that exempts Darfur, Nuba Mountains, Blue Nile states and other conflict areas, including the peripheries of Khartoum, from the sanctions. Beyond the obvious absurdities of this scenario, she was simply frustrated that she was given this information when the campaign was already five days deep, slowing down the momentum of the meaningful project. There are now five days left to raise money. Speaking of the number five, that’s the number of countries that are currently subject to comprehensive U.S. sanctions: Iran, Syria, Cuba, Sudan, and North Korea. These sanctions ban the export of goods and services to the nations, respectively. Iran has frequently served as an example of how targeted sanctions need to be altered to catch up to digital realities. The pro-democracy Green Movement in 2009 highlighted the role that communications tools can play in enabling citizens to communicate, organize, and participate in civic discourse. Since then both the Obama Administration and members of Congress have recognized that U.S. sanctions can keep Iranians from accessing the very tools that might help bring about change. In a country like Iran where the government operates a sophisticated censorship and surveillance regime, denying access to secure messaging systems and anti-virus software can stifle the free flow of information and force individuals to rely on less secure options to communicate. This recognition led Congress to pass the Victims of Iranian Censorship(VOICE) Act in 2010 that allowed improved access to information by allowing a host of digital communication tools that are free, as well as circumvention tools. This legislation was enhanced in 2012 with the GRAVITY Executive Order (for Iran and Syria) that focused sanctions solely on companies or individuals selling surveillance technology to government. In May 2013 the US lifted all sanctions on digital communication tools in Iran. Sudan is hoping to see similar progress, especially after the protests against the government in the fall of 2013 which represented similar fervor for change. ...continued support for international terrorism, ongoing efforts to destabilize neighboring governments, and the prevalence of human rights violations, including slavery and the denial of religious freedom, constitute an unusual and extraordinary threat to the national security and foreign policy of the United States. A December 2013 paper from the Open Technology Institute at the New America Foundation argues that across the board, these sanctions are archaic and fail to recognize how communications technology can benefit both the civilian population and serve broader American foreign policy goals. Instead, the restrictions have negative consequences on the population, and can inadvertently aid the repressive regimes that seek to control access to information within their borders, and stoke anti-American furor. In Afnan’s words “I understand that the US is imposing an economical siege on Sudan if one can put it this way. The reason for this sanction is strictly political and unfortunately a wide portion of the people suffers from this. I honestly don't think the US should have these sanctions. And if you must have them then at least don't impose them the web because I believe information is a human right, which has nothing to do with politics or economic resolutions.” Both Khan Academy and MITx are blocked from Sudan, many have had trouble with Google Scholar as well. With a strained voice over Skype, Haj-Omar spoke of a student who allegedly took an exam online in order to attain a certificate from MITx. He was upset to receive an email saying even though he had scored a 93%, the program was unable to grant him the certificate because he comes from a country with US sanctions. The IEEE-Sudan Subsection was approved by the IEEE-USA two years ago. Currently there are ~600 member based in Sudan. We managed to hold our first ever IEEE Conference in Sudan (International Conference on Computing, Electrical & Electronics Engineering). We managed to attract three keynote speakers, two of whom are American Professors who surely added value to our conference. A total of 138 papers were presented in the conference, 99 of which were presented by young Sudanese academics, professionals and students. The above seeming success hides it its details [sic] our suffering every step of the way. Most of the suffering of the young professionals and students in their endeavours to acquire knowledge or be associated with centres of excellence like the IEEE are directly caused by the sanctions imposed by the US government on Sudan. Our members, all young professionals or students, suffer tremendously to get their registration and membership fees to the IEEE (in the USA). We suffer to get access to research material. Many sites are blocked in compliance with USA orders or transactions are blocked to stop transfers of money out of Sudan. Credit cards etc are a no-go area for all is the transaction is deemed to be linked to Sudan. Haj-Omar and Kambal are part of a group that are about to launch a campaign to advocate for ‘smart sanctions.’ That would mean sanctions that only target the Sudanese government, not the people. The campaign aims to educate both Sudanese and American society about the sanctions and to get more activists and NGOs on board. Many are fighting for change in Sudan, but the US government's sanctions are unnecessarily slowing down this process.